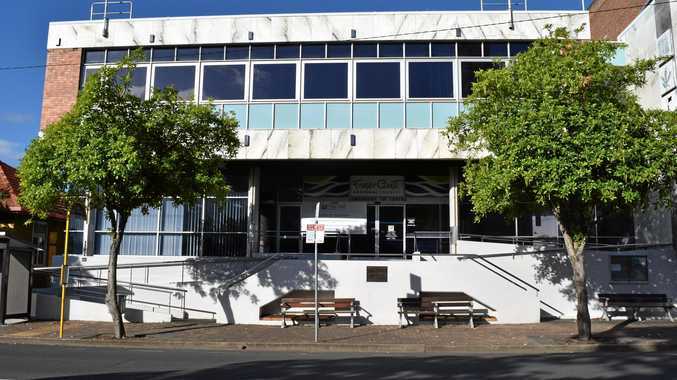 AS A youngster growing up on a farm, Lyn Stanley-Hunt's idols were Peter Brock and John Farnham. While she wasn't old enough to travel to meet Brocky at any race events while he was alive, she looks forward to the Bathurst 1000 each year. 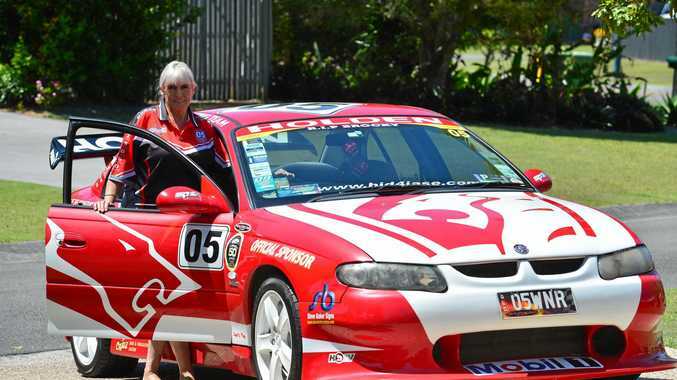 Lyn has driven her Brock-replica 2002 VX SS Commodore there a few times. She's even had multiple championship-winning Australian motor-racing driver Garth Tander sign the glovebox. She hopes to make the trip to Bathurst again next year. I appreciate any Holden, new or old. My first car was a Hilman Hunter (many moons ago). 4 What is your fondest memory of a car or drive you took? My fondest memory of a car ride was in a 2015 Townsville V8 event when I was lucky enough to do Hot Laps with James Courtney. 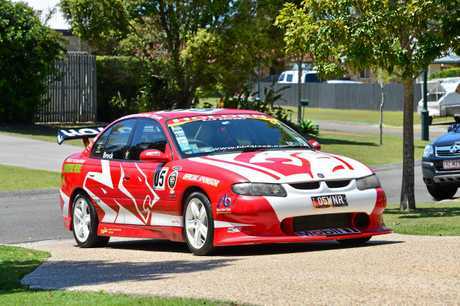 My current car is my pride and joy: a Brock replica, 2002 VX SS Commodore. 6 What do you love about it? How long have you had the car and where was it sourced? 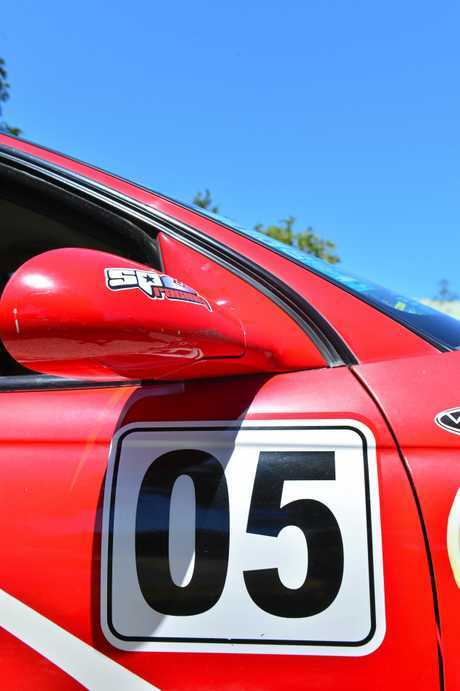 I have had the car since 2003 and slowly did it up for Bathurst 2003. The car was purchased when I was living in New Zealand. At that time, all V8 events for my family and friends were held at my house - even if I wasn't home. I attended Bathurst the year Brocky died and the party still went on in my home. 7 Tell us about what's under the metal and are there any modifications? It hasn't been engine modified at all except for the muffler to make it sound a bit more grunty. 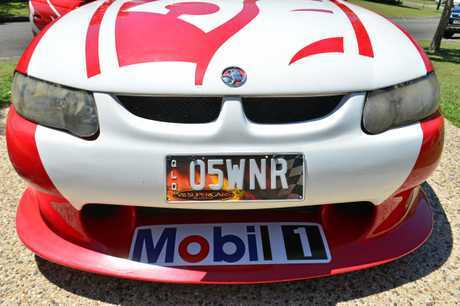 I put a full race car body kit on it and sourced the boot wing from NZ V8 Supercar driver Kevin Williams. I have replaced most of the artwork since coming home to Queensland in May 2008, due to the harsh sun. 8 What makes your car so special? I love my car and I love how much joy it gives people when they see it on the road. Young kids stop on crossings and point, adults give thumbs up, toots and yell out "how cool”. I did it up for all to enjoy. 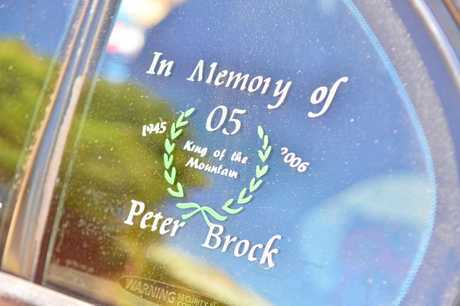 It is more special as it was done before Brocky died. 9 How often do you drive your car? I don't drive my car often now, keeping the miles down, but I try to take it out on a Sunday. 10 Mostly pleasure and personal use or business? Always for a pleasure drive, but I have done weddings, birthdays and graduations. 11 Does it have a name? How have you personalised it: for example, Personalised Plates, fluffy dice? While in New Zealand, my personalised plates were BURN4U. In Oz, my personalised plate is 05WNR (05winner). 12 Do you work on your own car or get it maintained at a garage/by the manufacturer/specialists? My mechanic is in Kuluin. His driveway is pretty steep to get down so I'm lucky I don't have much trouble with her. 13 What will your next car/bike be? Not sure if I'll ever have another car, although I do love a ute. DETAILS The rear wing was sourced from New Zealand V8 Supercar driver Kevin Williams, the only other change is a sports muffler to improve the bent eight exhaust soundtrack.